Despite their plain look and feel, I didn’t care. I just wanted to acquire as many cards of the game’s biggest stars of the day. After all, isn’t that what collecting baseball cards should be about? But, despite that, I still managed to find the 10 most valuable 1990 Fleer baseball cards and write about them. Before we get started, I do want to make it clear that most of the cards from this set do not have any value these days. Like the 1990 Donruss and Topps sets, far too many of them were printed and the market is over-saturated with them. So, in order for the cards on this list to be worth much, they'll either have to be the Canadian version (far fewer of these were distributed in Canada making them more rare) and/or be graded by PSA to be in perfect, gem mint condition. That means the card needs to be basically flawless. Estimated PSA 10 Value: ??? But, due to all the strange hype around it, I've received many emails from people asking if it truly is worth a lot of money. At some point, these cards started popping up on eBay listed for sale for well into the six figure price range. So, why on Earth would this card be worth so much? Some people have suspected that money laundering is somehow involved. Others just suspect it's nothing more than a hobby joke that's gotten carried away. I recently saw one of these cards graded in PSA 10 condition sell for over $200 on January 17, 2019...so, in some strange way, maybe this card has generated some value after all. 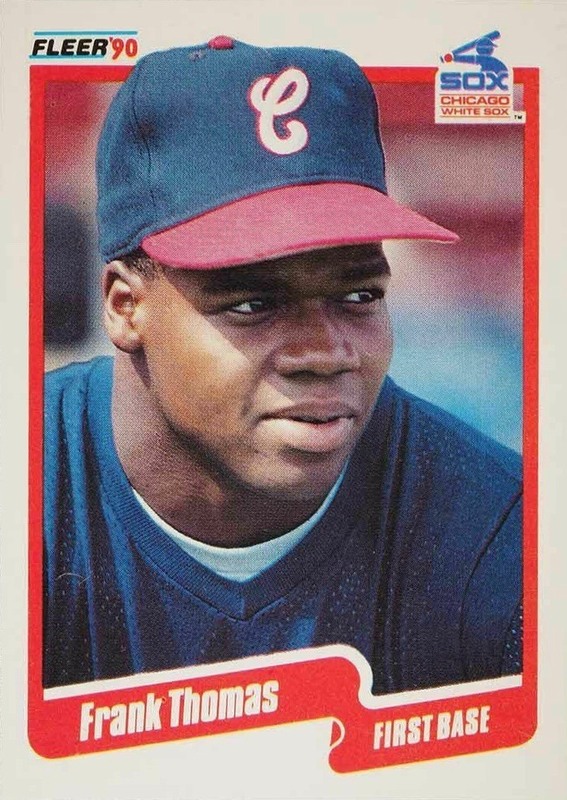 Technically, Frank Thomas wasn't part of the regular 1990 Fleer set but would later appear in the "Update" set later that year. But, how could I not include this rookie card of one of the era's premier power hitters? I grew up in Indiana so I would regularly see Frank Thomas playing in White Sox games televised by WGN in my area. Man, was he fun to watch. Frankly, given his size and strength, I'm surprised he didn't end up with more career homers or that he never eclipsed 50 in a season. His 1990 Topps rookie card may be his most recognizable, but his 1990 Fleer rookie card is popular enough to keep it high atop this list. 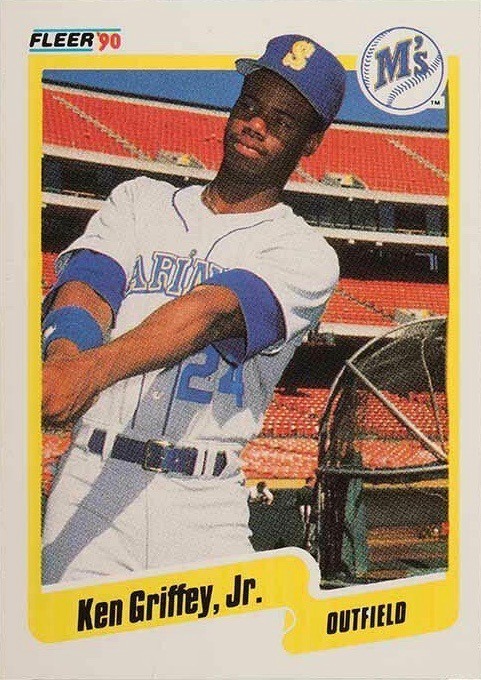 Speaking of power hitters, we now turn to Ken Griffey Jr. But, because of that sweet swing of his (arguably the most beautiful swing the game has ever seen) he was able to generate enough power and torque to send 630 baseballs over the fence over his career. 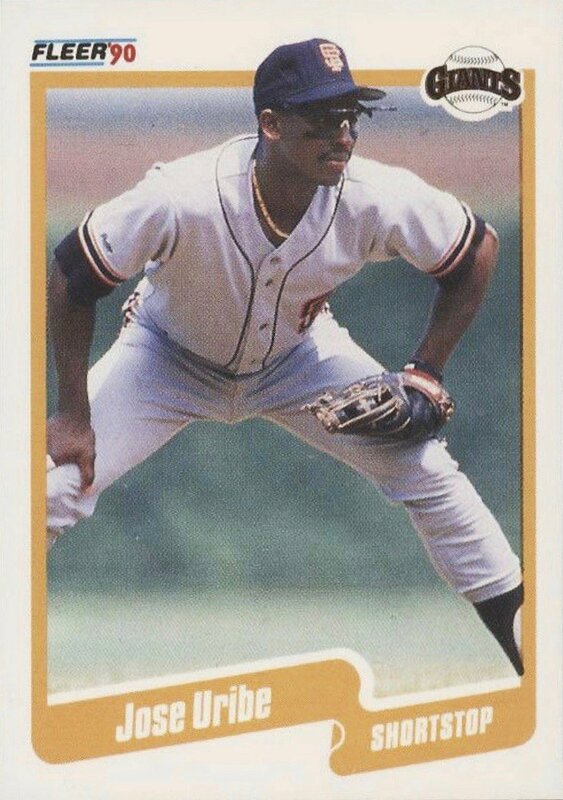 Griffey was one of the most popular players of the era and his cards were always in high demand. This one is no exception and still holds some value, especially in its Canadian version. 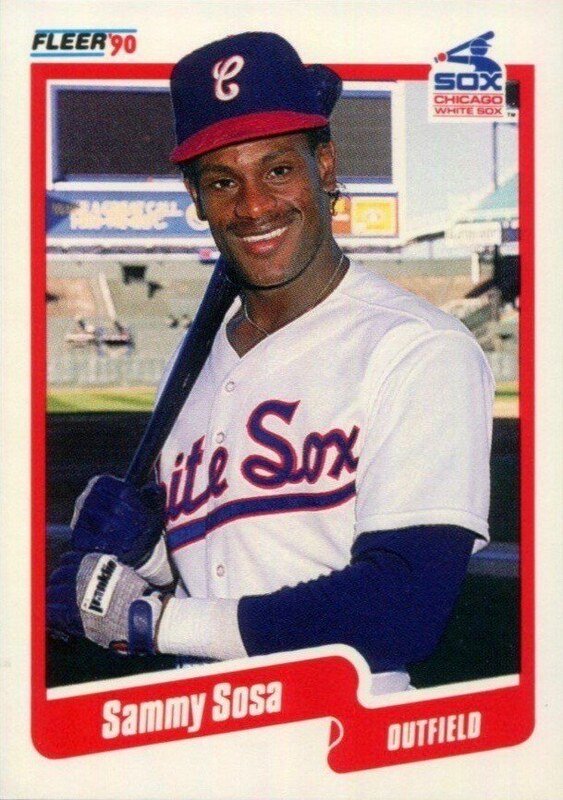 Because of the PED scandal that rocked baseball at the turn of the century, Sosa's legacy will forever hang under a cloud. But, there's no question that he was one of the game's most popular players of his era. Seeing Mark McGwire, Barry Bonds and him going toe-to-toe trying to break the single season home run record was exciting to watch and his notoriety grew as a result. Because of that, he still holds a certain degree of popularity amongst fans and his rookie card from this set makes our list of the valuable as a result. 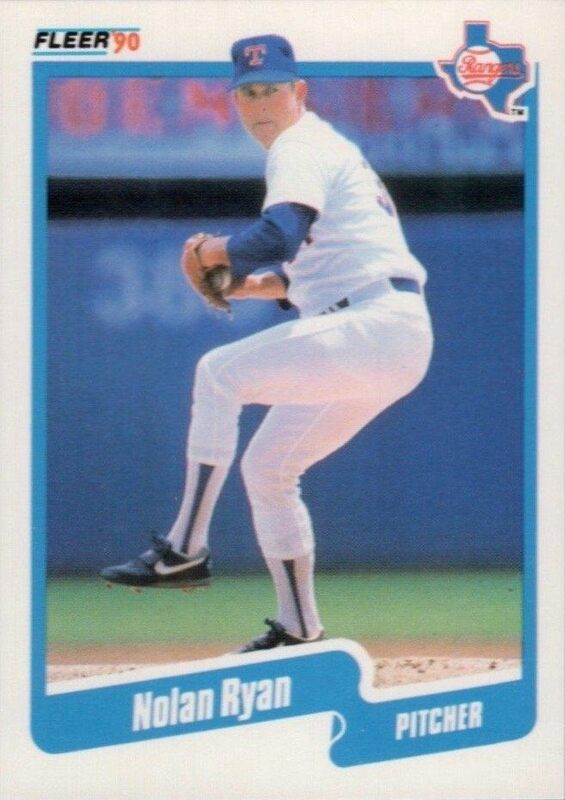 Nolan Ryan is another one of those guys who is amongst the most highly demanded within any baseball card set. The fireballer is a baseball icon whose popularity is timeless. Ryan also appeared in this set on a "300 Strikeout Club" card with former Astros teammate, Mike Scott. And, he'd also be included in the "Update" set that year which paid tribute to his no-hitters across three different decades. I also found that odd because Ryan had eclipsed the 5,000 career strikeout mark the year before in 1989 as well but Fleer, unlike Topps, Donruss, and Upper Deck did not create to recognize this monumental achievement. Not that throwing a no-hitter in 3 separate decades was no big deal but still...5,000 strikeouts is probably worth mentioning, too. 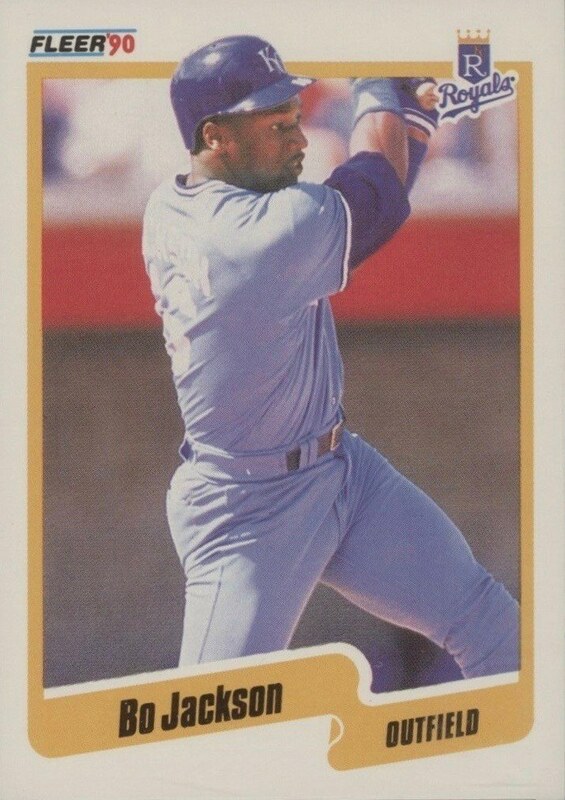 Remember how Bo Jackson seemed to be everywhere back in the late 80s and early 90s? Television commercials, videogames, merchandise...you name it, he was on it. His two-sport stardom created astounding hype and his popularity soared through the roof. While his career was cut short due to injury and we'll never know just how great he could have been, kids who were collecting in those days are now adults. And those adults will never forget Bo Jackson and are still keeping his cards in strong demand. As a kid, there were few hitters I enjoyed watching more than Tony Gwynn, Wade Boggs and Larry Walker. Sure, Griffey Jr., Bonds, McGwire and those guys were all fun to watch because of their power but the other guys were fun to watch because of their pure mastery at the plate. How would you like to face a guy during a season in which he hit 49 home runs, 143 runs scored, 130 RBI and a .363 batting average? That was the season Walker had in 1997--good enough for the Triple Crown but oddly not the MVP. Excitement comes in all different forms in baseball, which is what makes this game so great. On the base paths, you'd be hard-pressed to find anyone who was more exciting than Rickey Henderson. 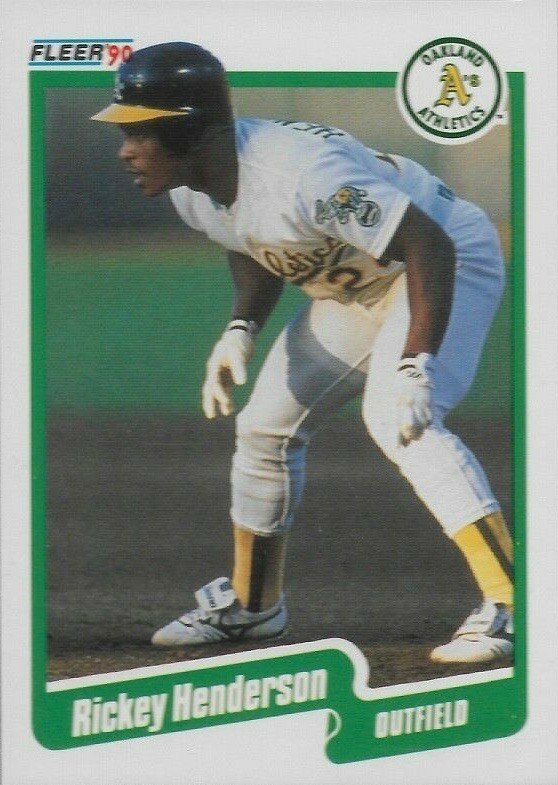 Rickey wasted no time showing you the type of career he was going to have as a base stealer after he swiped a jaw-dropping 130 during the 1982 season. Nobody even comes close to stealing 100 bases in a season anymore. But, hey, if the guy is the career leader in stolen bases I guess he's earned it. From the mid 90s to the mid 2000s, I don't think there was anyone more exciting to watch on the mound than Randy Johnson. That slider and fastball combination were absolutely devastating. From 1999 to 2002 he would win four Cy Young awards in a row with the Arizona Diamondbacks. Had he spent his whole career there he'd probably have 10 or more Cy Youngs to his name, who knows? Juan Gonzalez was one of the most effective hitters of his day. Every year he seemed like a lock for 40 homers and 100 RBI. He was so productive that he'd actually go on to win two MVP awards in his career. However, that same career sits under the cloud of steroid use much like many other sluggers of the era. But, his rookie card from the 1990 Fleer set is still important enough to earn a spot on this list. Don Mattingly could flat out play--he could hit for average and a bit of power while at the same time maintaining a solid glove at first base (he won 9 Gold Gloves in his career). He'd never get a World Series ring but during the mid to late 80s, he was one of the sport's best players and his cards were on fire in the hobby as a result. 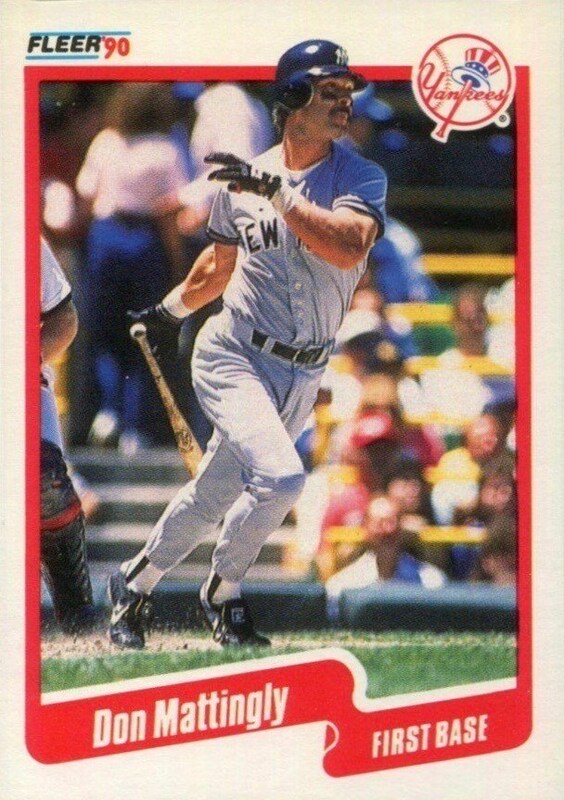 Everyone wanted Don Mattingly cards when I was a kid. His 1990 Fleer card was no exception and has enough value left in the tank to earn a spot on this list. So there you have it, the ten most valuable 1990 Fleer cards. As you can see, it will take them being professionally graded in gem mint condition to be worth much. And by the time I got to the end, you could say any number of guys like Roger Clemens, Cal Ripken Jr., Barry Bonds, Jose Canseco, Mark McGwire or any other number of stars from the day could be on the list. This set was large with a 660 card checklist and was massively printed. That's what's ruined the value over the years. The set is rather unexciting compared to Topps and Donruss of that same year. But, for those of us who grew up collecting these as kids, they'll always have a huge nostalgic factor to them despite not having the most monetary value.